I have a rule when it comes to birthdays. No work. I don’t really mind what I do, as long as I’m with a good friend, eating good food, and definitely not at work. This year was no exception. 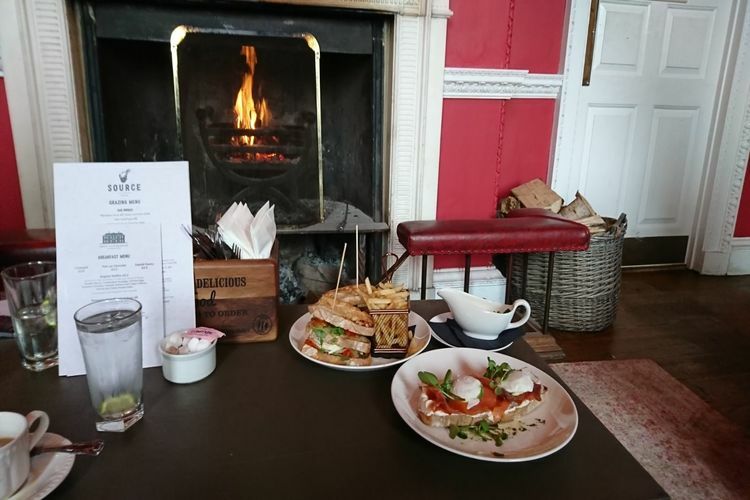 My best friend and I decided to start the day off with a hearty breakfast somewhere grand: Proud Country House nestled in the heart of the beautiful Stanmer Park. We had a spa booked in Brighton in the afternoon so it was the perfect location, without the hustle and bustle of town. 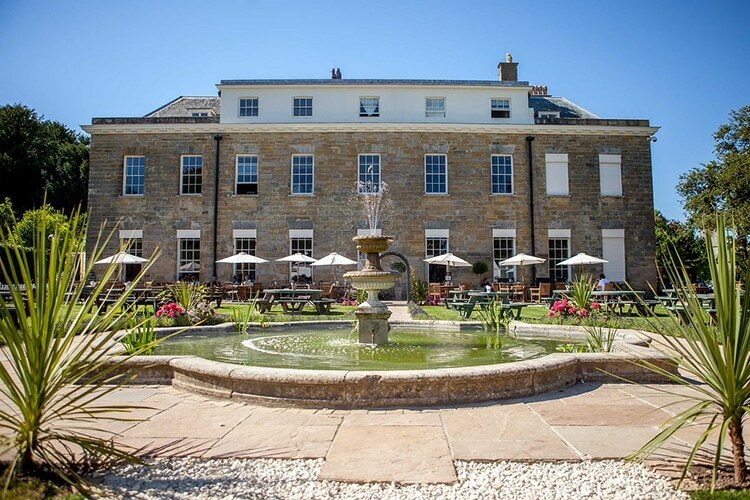 Steeped in history, Stanmer House, now known as ‘Proud Country House’ was built in 1722 for the distinguished Pelham family. 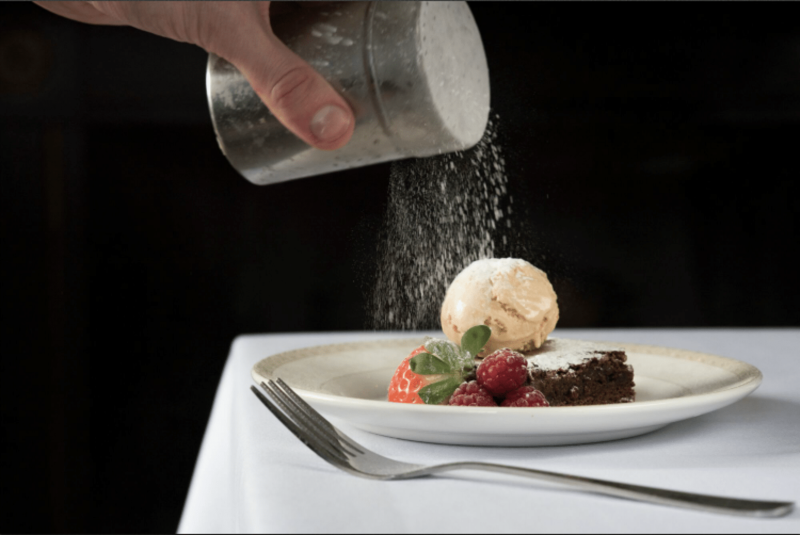 Now a venue for all occasions including weddings, corporate events and even festivals. Despite it’s ‘grandness’ it has somehow managed to strike that balance and invites you in whoever you are and whatever the occasion (or absence of one). The park is also a great place to walk your dog, or run/cycle and drop into the house for post coffee and cake afterwards. Both of us with healthy appetites, we were looking forward to a proper feed. Welcomed warmly at the front door by a smartly dressed staff member, she gave us a choice of where to sit. 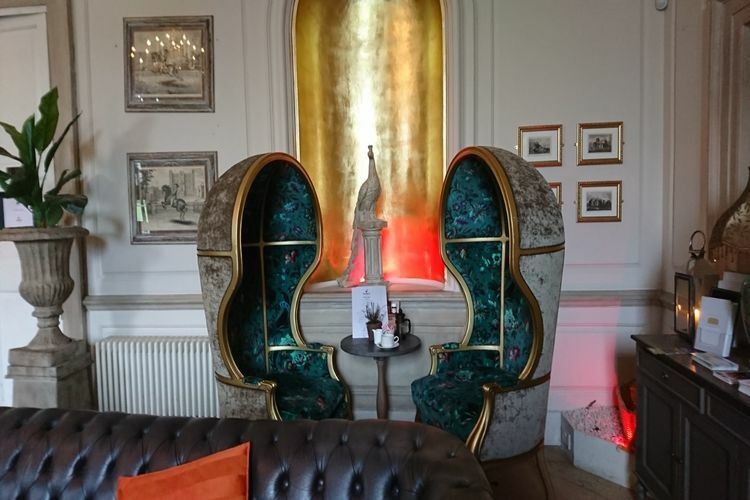 Big, shiny, chestnut coloured chesterfields by the burning log fire or funky, crushed velvet throne style chairs next to the floor to ceiling bookcase. It was a chilly day so we went for the Chesterfield by the fire. The whole scene invited us to relax. Motown music was playing in the background (my favourite) and the fire was crackling away underneath an old painting of someone who may have once lived here. It was like we had stepped into the Pelham’s living room centuries ago. Recognising the fortunate location they are in, surrounded by good quality Sussex produce they’ve sensibly taken advantage of that fact and newly designed their restaurant and named it ‘Source’: a farm to fork concept which ensures that all produce is sourced within a 20 mile radius of the house. 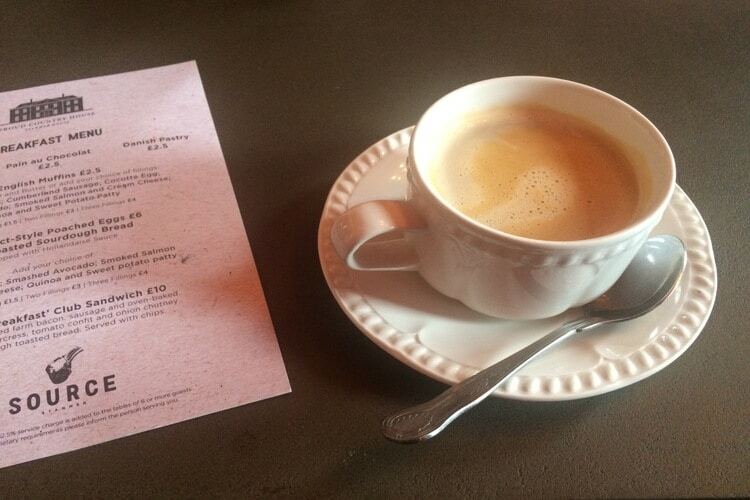 The Breakfast menu (served daily from 10am) is simple but well thought through to cater for all tastes and appetites. If slightly peckish but not looking for a feast, there’s pastries and toasted English muffins to choose from. You’ve then got the classic and much loved Benedict style poached eggs on Sourdough bread with a choice of toppings including your classic bacon or smoked salmon & cream cheese but also a couple of veggie options: smashed avocado or quinoa & sweet potato patty. All served with homemade hollandaise. 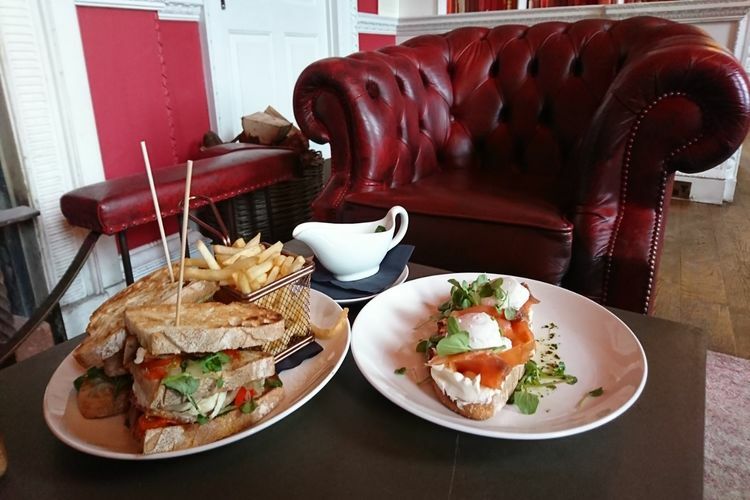 Finally, for those with eyes bigger than their belly, there’s the ‘Proud Breakfast’ Club Sandwich: slices of smoked farm bacon, sausage and oven-baked egg with watercress, tomato confit and onion chutney on sourdough toasted bread. Served with chips. As I said before, not the shy and retiring types when it comes to food, of course we went for one of these. 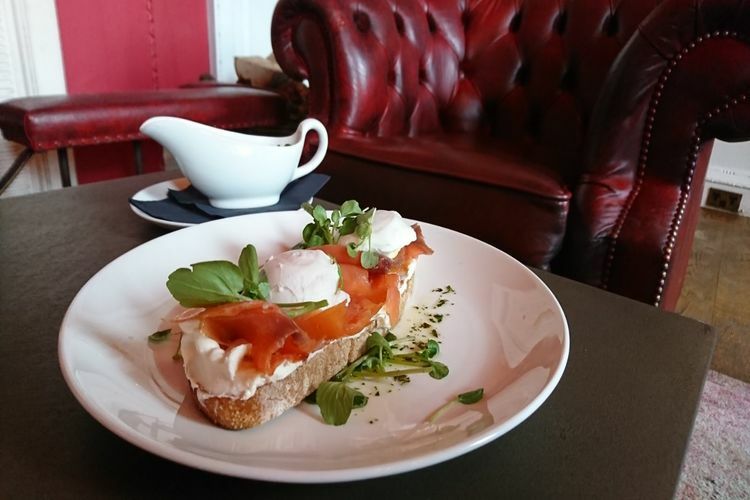 But not wanting to waste an opportunity and order the same thing, we also ordered a Benedict style poached eggs with smoked salmon and cream cheese. I love this combination. The addition of cream cheese to smoked salmon and egg, seems to give it an extravagant edge. And today was all about extravagance. I ordered a flat white, and Kerri an English breakfast tea which came in a lovely little teapot for one. 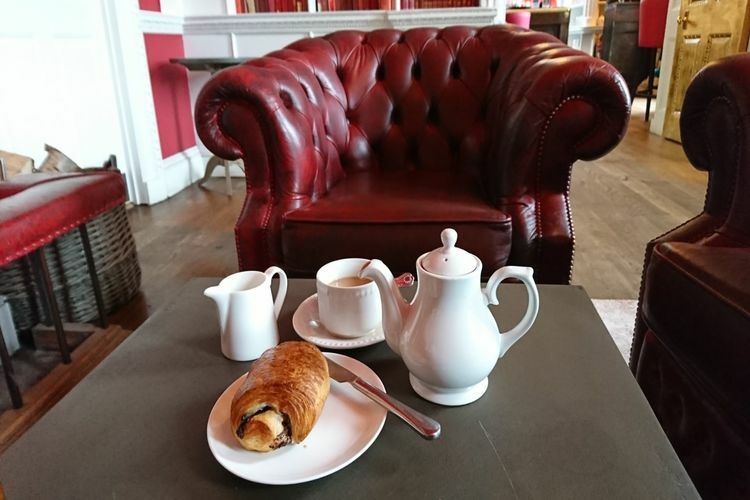 As we sipped our hot drinks, we sat back on the luxurious leather and watched the spark and crackle of the logs whilst catching up with each other on all the news. Someone came over at least twice during our stay to stoke the fire and add fresh logs from a basket nearby to make sure it didn’t die out. That’s what I call service. We didn’t have to wait long for our breakfasts although we were so relaxed and comfy, we could have quite happily waited some more. Both breakfasts looked absolutely delicious. Kerri’s Proud Breakfast Club Sandwich was a sight for sore eyes. Two golden halves of a triple decker toasted sourdough stack, filled with fresh bacon, sausage, oven baked egg garnished with crisp, punchy watercress, chunky tomato confit and sweet onion chutney. Not forgetting the chips on the side! Kerri loved the sandwich but was not overly enamoured with the idea of chips for breakfast. I had no such qualms so I helped her out on that front. They went lovely with my benedict style eggs. I highly recommend chips dipped in homemade hollandaise. It’s heavenly. Like a posh chips and gravy! The whole breakfast affair felt decadent at Proud Country House. Attentive throughout, the waitress warned us when she placed the breakfasts down that most people struggle and ask for a doggy bag. When she came back to see we had left only a few morsels on our plates, she looked surprised but impressed! 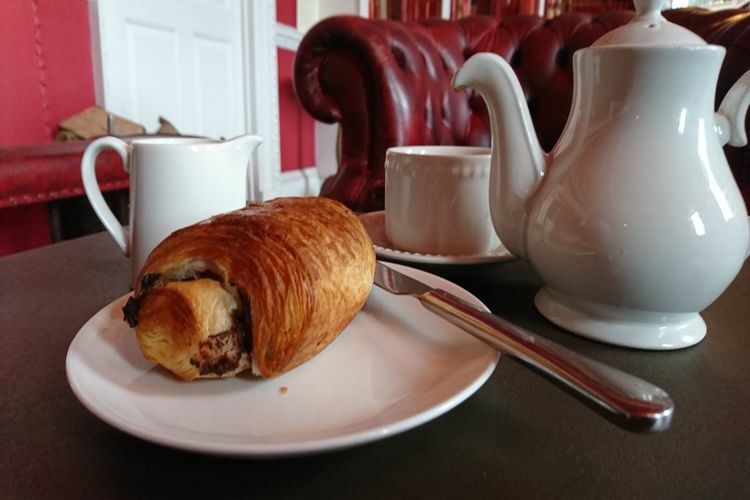 I’m almost ashamed to admit it, but we didn’t stop there… We went for a freshly baked pain au chocolat to finish things off nicely with something sweet. It was warm and gooey and just how they should be. After a few bites, we were finally beaten. Well, if you can’t indulge like that on your birthday, when can you?